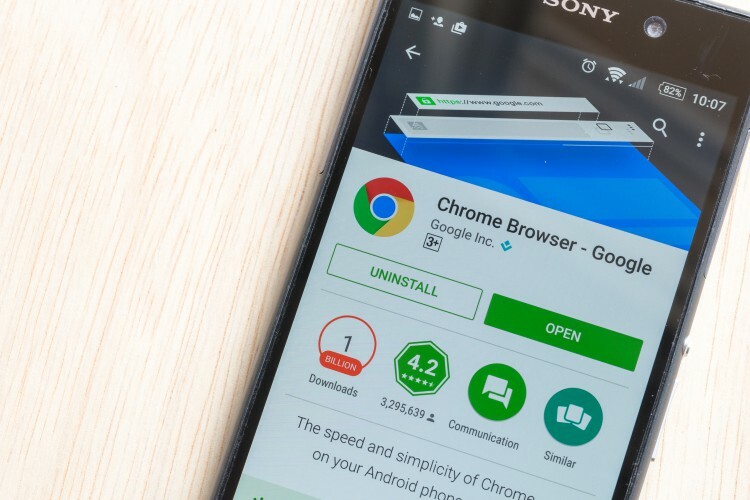 Google is continually working towards the improvement of its well-known Chrome browser and has just recently released the 63rd iteration of the same to its Android users. But, we have already discovered another new feature called “Parallel Downloads” that will prove to be quite useful when it rolls out widely to all users. Chrome 64 for Android, which is currently under testing on the developer channel, has just received a commit that outlines how this new feature will work. It specifies that the parallel download feature automatically comes into action when a download is active for more than a couple seconds. It’ll create 3 parallel jobs to download this file, thus, accelerating the speed of the download for Chrome users. Note: I activated this feature for Chrome Dev (v64.0.3282.12) on my Xiaomi Redmi Note 3 and there were no issues faced in the process. 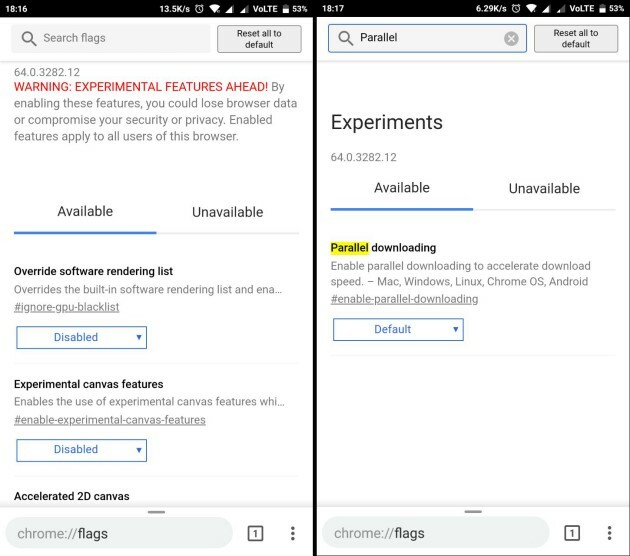 Open Chrome Dev on your Android device and navigate to chrome://flags to see the experimental features page. Look for ‘Parallel Download’ using the search feature at the top. 2. Then, you need to tap on the ‘default’ tag under the ‘parallel downloading’ flag to open a pop-up window. Tap on ‘Enabled’ followed by the ‘Relaunch Now’ button at the very bottom to reopen the browser. The parallel download feature has now been activated. 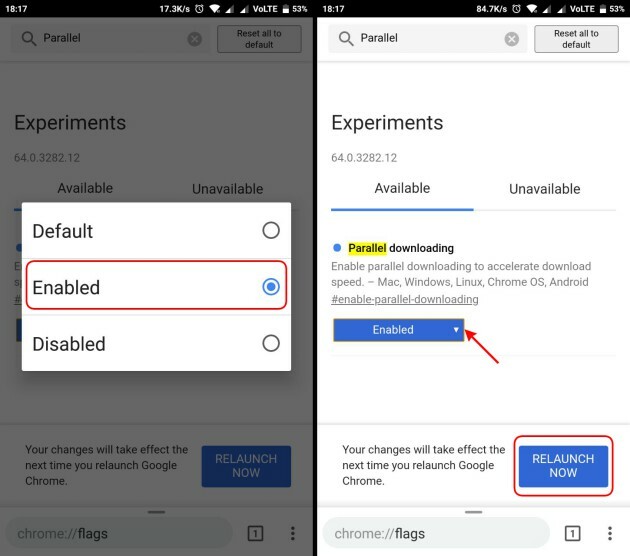 The parallel download feature will soon be activated by default on Chrome Dev and Canary channels whereas the Chrome Beta and Stable will bag this feature sometime in the future. In addition, you have another reason to rejoice because Google is also said to be testing support for HDR video playback and custom download folders. After enabling the feature for Chrome Beta on my device, I tried downloading a couple of APK files and did notice only a slight difference in the download speeds. It is highly possible that you may not notice a huge difference in speeds for smaller downloads, but custom ROMs or other larger files would certainly have increased speeds. So, let us know if you noticed any speed difference in the comments down below.